1. Now that Google has announced a “mobile-friendliness” update to its search algorithm, you want make sure your website works and looks great on smartphones and tablets. Check your website’s mobile compatibility with Google’s free tool. 2. Include links to your business’s social media accounts (Twitter, Instagram, Facebook, etc.) on your homepage to make it easy for customers to connect with you. 3. Make sure your homepage is clear, compelling, and simple. Leave some white space to improve overall readability. And whatever you do, don’t clutter it with a bunch of widgets and flashy bits. 4. Make your menu easy to access. 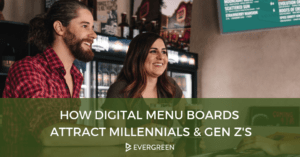 Statistically speaking, 80% of customers check out a bar or restaurants menu online before visiting it because they want to see what you have to offer first. 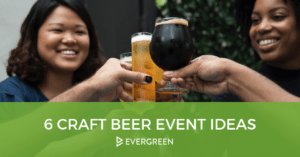 Tools like TapHunter make it easy to update your beverage offerings in real time, to keep current and potential customers informed. 5. Have someone read the whole thing over for spelling and grammar errors. No matter how many times you review, a fresh set of eyes will almost certainly catch something you missed. A clear, compelling, and error-free homepage that incorporates these elements shows that you pay attention to each detail of your business, and that sure makes for a kickass first impression! 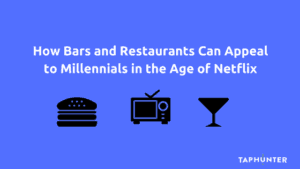 Is your homepage already kickass, and now you just need more hours in the day to squeeze in all the work you do as a busy bar owner? We’ll give you back your time by automating your day-to-day management and marketing tasks. Try a free trial of TapHunter today.